There have been at least three groups called The Spinners: a soul group, a 1960s folk group and a Turkish punk band. 1. A soul group of the early '70s, creating a body of work that defined the lush, seductive sound of Philly soul. In the UK they were known as "The Detroit Spinners" to avoid confusion with British band The Spinners. The band's roots lay in Detroit, where they formed as a doo wop group during the late '50s. 1. A soul group of the early '70s, creating a body of work that defined the lush, seductive sound of Philly soul. In the UK they were known as "The Detroit Spinners" to avoid confusion with British band The Spinners. The band's roots lay in Detroit, where they formed as a doo wop group during the late '50s. Throughout the '60s, the Spinners tried to land a hit by adapting to the shifting fashions of R&B and pop. By the mid-'60s, they had signed with Motown Records, but the label never gave the group much consideration. "It's a Shame" became a hit in 1970, but the label continued to ignore the group, and dropped the band two years later. Unsigned and featuring new lead singer Phillipe Wynne, the Spinners seemed destined to never break into the big leagues, but they managed to sign with Atlantic Records, where they began working with producer Thom Bell. With his assistance, the Spinners developed a distinctive sound, one that relied on Wynne's falsetto and the group's intricate vocal harmonies. Bell provided the group with an appropriately detailed production, creating a detailed web of horns, strings, backing vocals, and lightly funky rhythms. Between 1972 and 1977, the Spinners and Bell recorded a number of soul classics, including "I'll Be Around," "Could It Be I'm Fallin in Love," "Mighty Love," "Ghetto Child," "Then Came You," "Games People Play," and "The Rubberband Man." Wynne left in 1977 and the Spinners had hits for a few years after his departure, but the group will always be remembered for its classic mid-'70s work. Originally, called the Domingoes, the Spinners formed when the quintet were high school students in the Detroit suburb of Ferndale in 1957. At the time, the group featured Bobbie Smith, Pervis Jackson, George W. Dixon, Billy Henderson, and Henry Fambrough. Four years later, they came to the attention of producer Harvey Fuqua, who began recording the group -- who were now called the Spinners -- for his Tri-Phi Records. The band's first single, "That's What Girls Are Made For," became a Top Ten R&B hit upon its 1961 release and featured Smith on vocals. Following its release, Dixon was replaced by Edgar "Chico" Edwards. Over the next few years, the group released a series of failed singles, and when Tri-Phi was bought out by Motown in the mid-'60s, the Spinners became part of the larger company's roster. By that time, Edwards had been replaced by G.C. Cameron. Though the Spinners had some R&B hits at Motown during the late '60s, including "I'll Always Love You" and "Truly Yours," they didn't have a genuine crossover success until 1970, when Stevie Wonder gave the group "It's a Shame." Motown never concentrated on the Spinners, and they let the group go in 1972. Before the band signed with Atlantic Records, Phillipe Wynne replaced Cameron as the group's lead vocalist. Wynne had previously sung with Catfish and Bootsy Collins. At Atlantic Records, the Spinners worked with producer Thom Bell, who gave the group a lush, seductive sound, complete with sighing strings, a tight rhythm section, sultry horns, and a slight funk underpinning. Wynne quickly emerged as a first-rate soul singer, and the combination of the group's harmonies, Wynne's soaring leads, and Bell's meticulous production made the Spinners the most popular soul group of the '70s. Once the group signed with Atlantic, they became a veritable hit machine, topping the R&B and pop charts with songs like "I'll Be Around," "Could It Be I'm Falling in Love," "One of a Kind (Love Affair)," "Ghetto Child," "Rubberband Man," and "You're Throwing a Good Love Away." Not only were their singles hits, but their albums constantly went gold and charted in the Top 20. Wynne left the band to pursue a solo career in 1977; he was replaced by John Edwards. Though none of Wynne's solo records were big hits, his tours with Parliament-Funkadelic were well-received, as were his solo concerts. In October 1984, he died of a heart attack during a concert in Oakland, CA. 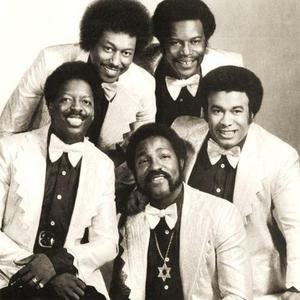 The Spinners, meanwhile, had a number of minor hits in the late '70s, highlighted by their disco covers of "Working My Way Back to You" and the medley "Cupid/I've Loved You for a Long Time." During the early '80s, they had several minor hits before fading away from the charts and entering the oldies circuit, reprising their earlier material for 1999's new studio effort At Their Best. Long time founding members Billy Henderson and Pervis Jackson have since deceased. John McCormick was the group's bassist and musical director for the final seventeen years. Cliff Hall was born in Jamaica and came to the UK to serve in the Royal Air Force. The group was unusual for its time in having a multiracial membership. They produced over forty albums and made numerous concerts and TV appearances. They retired in 1989 after thirty years together, though some members still perform. They were immensely popular by reviving some of the greatest folk music and singing new songs in the same vein. Critics say that their style was musically simple, cosy and sentimental but this is what appealed to the fans. One of their best known songs, particularly in their native Liverpool, was "In My Liverpool Home", written by Peter McGovern in 1962. 3. The Spinners were a female punk band from Turkey, active in the late 80's and early 90's. They released a demo called ?Lalala? in 1991.